Protecting your work is most important to a creator. We recently went through this process as we start on actual publishing of real books. It’s both nerve-wrecking and enlightening. Nerve-wrecking in the discovery of limitations: like costs and printing drama, and enlightening in that with every book printed, you discover mistakes and tell yourself, I’m going to get that fixed in the next print. It’s been an interesting time. So, for copyrights, I thought I should share this process with you. It’s not so hard, you can do it too. Firstly, you need to have your work fully completed, and ready to go. Fill out the forms. To be noted, don’t copyright someone else’s work if you do not have the permissions from the original author (owner of the work). This is very uncool. Just don’t do it. Respect the original author/creator, alright. Of course, if you are copyrighting your own work, write your name with no mistakes. ^_^ You wanna have bragging rights when you get that certification. 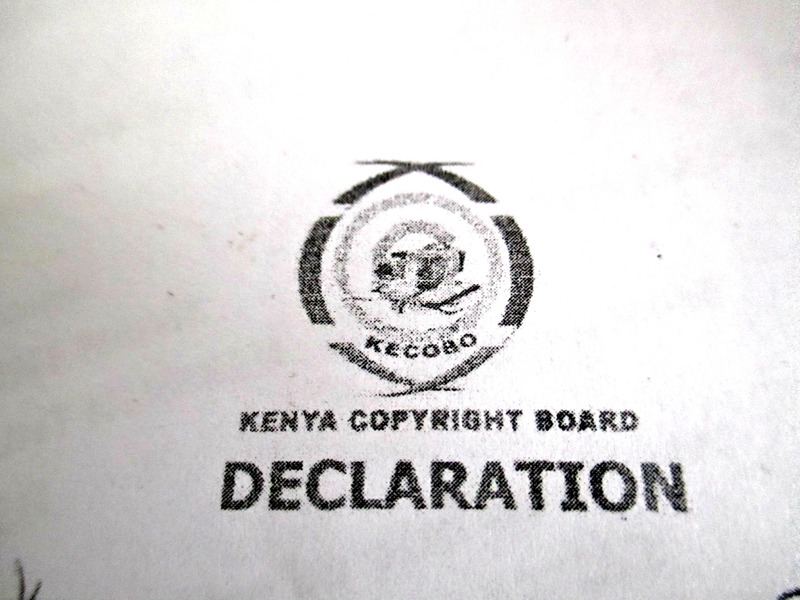 If you don’t understand the forms, do visit the Kenya Copyright board offices and they are very happy to explain them to you. Take your completed forms to a lawyer. The wording is “Get the forms commissioned by a commissioner of oaths.’ A lawyer will help you with that. 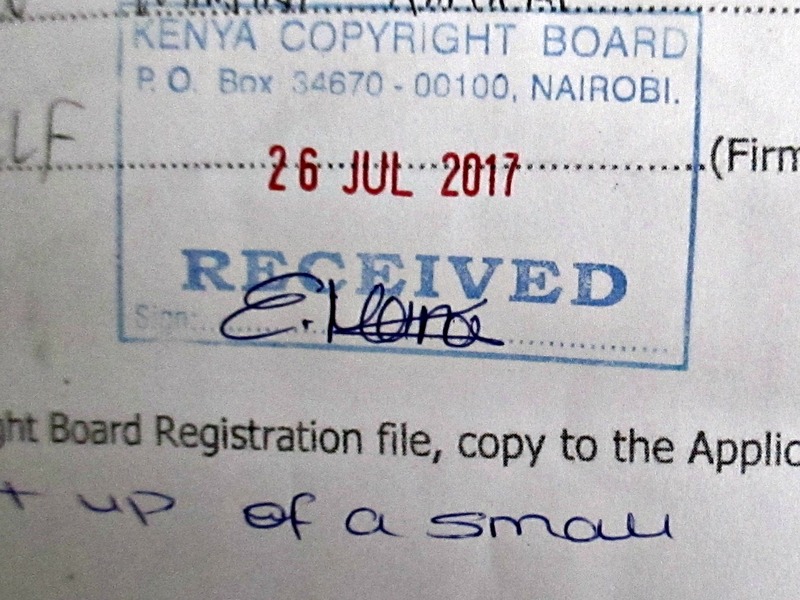 Take the bank deposit slip with you to the Kenya Copyright Board offices, and they will issue a receipt. Certification is issued within five (5) working days from the day of registration. In case there is an exception, they will let you know right away. No more excuses saying you can’t copyright your amazing creativity. Do you have an ISBN? Here is the procedure in case you want one. The Kenya Copyright Board offices are here: 5th Floor, NHIF Building, Ragati Road. How to get an ISBN in Kenya. Once you are set up, click on the ISBN Products. They offer options of buying 1 ISBN, 10 ISBNs, 100 ISBNs to 1,000 ISBNs. Choose the number that fits your needs, and make the purchase. This process is easy, and flexible, you may do it in cash, mobile payment, through the bank, whatever works for you. Once payment is approved, wait to hear back from KNLS. They are very fast about this, and you will get a message from them giving you your ISBN numbers, as well as the barcode that goes along with it. Here is a short guideline of how and when to use your ISBN when you get it and what to do with it once you get it. The ISBN site, sends these guidelines to you once your ISBN is approved. PLEASE ALSO NOTE that ISBN should always appear on the verso of the title page, or if this is not possible at the foot of the title page. It must also appear at the foot of the outside back cover at a prominent outside position. FINALLY, remember that the BOOKS AND NEWSPAPERS ACT CAP. 111, Laws of Kenya, stipulate that every publisher MUST deposit 2 clean copies of their (new, future and back issues) with the Director, Kenya National Library Service, (National Reference and Bibliographic Dept.). This process begins by filling in details under the “My Publications” section when you log into the ISBN service, and later depositing the copies physically at the National Library for approval. You shall not be allowed to purchase further ISBNs until you complete this process for all issued ISBNs. This procedure is for a first time buy, for a second time buy, make sure you have met all their requirements on submitting books to the National Library. Author elly in nairobiPosted on March 2, 2017 Categories Writing ResourcesTags Books in Kenya, Fiction in Nairobi, ISBN Kenya, ISBNs on Books in Kenya, Publishing Books in Kenya, Writing in Nairobi10 Comments on How to get an ISBN in Kenya. Shiri Golan has found the perfect man at last, but one day skeletons start crawling out of his closet hauling with them betrayal, a dark past and deadly secrets. Hurt, betrayed and seeking vengeance, Shiri finds herself caught between forgiveness and justice. As she lives on, she discovers that, oblivious to her, she is a commander of some secret movement whose ultimate aim is to control the whole world. From the sensational love poet and author of Holy Innocence and Holy Crimes, Elove Poetry, comes the story of love, hate, betrayal and secrets. “I’m a bachelorette, happy and enjoying it,” Shiri says at the start. These words bring out the picture of a confident woman living in the city of Nairobi. She’s comfortable in her own skin, and knows what she wants in life. The Bachelorette Diaries: 2012 starts out as a personal recount of a woman who has it all, except for one thing. She wants to find herself a good man to love and who’ll love her. That right there brought Shiri upfront and center. There begins the search for the ‘one’. The chapters where Shiri is combing through her social media account for that male friend that could turn into the one, were revealing…I wondered if Elove Poetry had CCTV at my area code. How many times do self-declared bachelorettes spend their nights stalking their male friends on social media, during that lonely period that strikes at low times? Valentine’s Day draws near, and Shiri’s desperation goes in to high gear. I couldn’t help laughing when she contemplates that TV Ad….”Are you lonely? Do you want someone to talk to? SMS the word “Love” to 5454…” I know you wonder if that would work out if you tried it. So does Shiri…you know things are getting desperate if it’s come to thinking about that Ad. Coming from that thought, Shiri jumps on to the first lifeboat that appears in the Village Market Mall. Smooth sailing ahead…not….when desperation blinds you to all but what you want, things are bound to get dicey. This moment starts a journey of a betrayal of her heart. The adventure in The Bachelorette Diaries: 2012 came from the mysteries that crop up after months of bliss in one man’s arms. Suddenly, Shiri is confronted by questions that so often find us in real life. Do we really know the people we claim to love? How can we trust what they say about themselves? Perhaps it has become mandatory to get a friend like Gwen, as Shiri has, who is good at digging out those dirty little secrets hidden behind pretty words and intoxicating love. Shiri finds herself in a mystery that includes murder, a secret ‘let’s take over the world’ club, and a disease she inherits from a distant relative that might shock you. She gets her heart broken, over and over, from the people she loves. In the end, I think the best relationship she had in this novel was the one she had with her three friends. Reading through this novel, you get a glimpse into the life of an independent woman living in sunny Nairobi. The highs and the lows she goes through to carve out her position in the work environment, in business, as well as finding that partner she can accept and lean on. There are unexpected moments of impulsive behavior that lead to pleasant surprises, or rather nasty ones. And I find myself agreeing with Shiri when she seeks out an outlet for her many lows through her writing hobby. The final chapters are filled with rapid action that at times is quite distracting as Shiri works to explain the mystery. For the most part it’s interesting trying to unwind the web, but I confess to getting bogged down just a little bit to the many twists and turns. However, I applaud Elove Poetry for having me glued to my reader for a solid three hours. The Bachelorette Diaries: 2012 is definitely a fascinating read. What is the E.A. Friday Feature? – Write a story in response to the weekly prompt given of only 1,000 words. The story can be a stand alone story. It can also be an ongoing story to which you’ll write chapters every Friday for the feature. 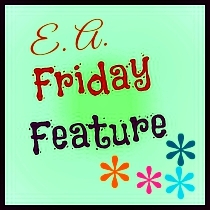 You post the story or chapter on your blog on Fridays, and at the bottom, you link your post to the other blogs participating in the E. A. Friday Feature. There is no restriction on the type of story you create. The story is all up to you. The only restriction is the limit on words. (1,000 words). – Anyone willing to show the commitment. The first Feature Starts on August 7th, 2015. Free readers, for example, if we’re three, you’ll get three new readers to read your story. Two, your links on the other participants’ blogs could get you new readers. It’s a win-win for all of us. Every month, the stories are compiled in a free ebook called the East Africa’s Friday Feature, and we’ll publish it on Smashwords for free. You can use this as a platform to advertise your other work if you have it published. Share the Free ebook with anyone you please. – Kindly don’t be late with your post. 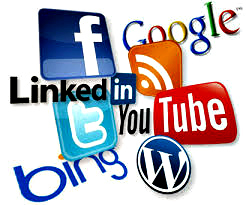 Try to be punctual so that everyone can have their links to your post on time. Please show commitment. – Don’t use an already published story. This is a creative writing exercise. Make your feature story original. Don’t plagiarize. If you have any questions, just leave them on this post, I’ll help out however I can. Have loads of fun with this guys! Is it easy to make money with Self- Publishing in Kenya? I think on any level, this is a Tough Question. If it’s something you’re thinking about doing, please Don’t quit your day job just yet, you keep trudging on, working your day job and writing fiction in the dead of night. You’re thinking what a strange way to start a topic. However, Money matters require clarity. To get a dead-trees(actual/physical) book published you’ll find you need to self-publish using an independent printing press. You approach them with your carefully prepared work. They’ll assess it, and quote you a price. For example, 100 books, each at Kshs. 150 = Kshs. 15,000. (This price is for a small book, possibly the size of a prayer book/ Please do shop around to get the right prices offered by different printers) It is your job to handle the necessary copyright registrations, editing, cover creation and all state related business requirements. Once you’re printed, you advertise which includes: asking different bookshops to sell your books. You might need to offer invoices, as most bookshops pay only after they’ve sold your books. If you don’t have the influence to advertise your book on a serious note, tackle alternate ways like word-of-mouth, carry your books in a bag, sell to whoever you meet. Get on social media, talk about it. You need to price your book, judge this using the cost price, e.g. book costs Kshs. 150 you can price it at Kshs. 350 to cover all the expenses you incurred. If you’re able to sell all copies at once, good on you, if not, keep at it. Remember, this is a self-publishing journey. You learn and don’t quit. Take this as a business. Watch out for manuscript calls from various publishing houses in the country/ and or continent. They’re announced on publishing company websites and their social media accounts. 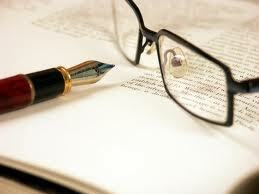 Work on your manuscript; make sure it meets the specifics given by the publishing company. If your work is accepted, there is usually a monetary reward for the manuscript based on number of words, or the publishing company offers you a royalty payment plan. These conditions depend on the publishing company or publishing house. You can also submit your manuscript to the various publishing companies in Kenya, East Africa or Africa as a whole. If your work is good, strong, and what the company is looking for, they’ll give you a call and publish your work. You can get a contract of sale for the manuscript, and royalties payment plan. This depends on the publishing house. These are both great ideas. If you’re one of the lucky ones to get in to this type of plan in Africa, you’re talented and very lucky indeed. Make your own e-book selling platform. – There are those with the know-how and the where-with-all to create a site that allows their audiences to purchase e-books straight from their personal site. If this is something possible for you, then please, go forth and make it happen. You have control over the cart system, and money goes where you direct it, so it can be in Kenyan shillings. It is a perfect way to make it happen. Here’s a Kenyan Author who has done it. Your goal is to let people know where to purchase your e-books and focus on PR. Choose an International E-book publishing platform – For Example, Amazon’s Kindle Direct Publishing. You’re able to publish your e-book on Kindle a nd they offer it across the board on different Amazon markets around the world. You may also choose to publish on Amazon’s Createspace. TheCreatespace platform allows you to publish physical books and make them available to your audience. Your job is to let people know where topurchase the book, and get as many people buying. Amazon pays Kenyans when they accumulate $100 (one hundred dollars) in checkform. This is because they don’t allow direct deposit with Kenyan banks just yet. There is also Smashwords.com. This platform acts as an e-book distributor. With Smashwords.com, you’re able to get your book in with Barne’s & Noble’s Nook, Apple’s iBooks, as well as Amazon’s Kindle amongst other e-book reading platforms. Smashwords can get your e-book on various e-book platforms. Smashwords pay through Paypal. This is a beautiful arrangement as Equity Bank has chosen to allow its clients to withdraw straight from Paypal. You get your money easily, less waiting for you. Smashwords gets you paid after three months, and you’re paid as long as you’ve accumulated ten dollars and above. Once again, it’s your job to get people to purchase your work. There are other e-book publishing platforms like Lulu.com. Explore your perfect fit online. You can choose to have your e-book available across the board. Use Smashwords.com, Amazon, Nook, Lulu.com and your personal website. You may also decide to choose just one platform. You have the control, make the choice. How good your story is. Write well, edit meticulously, and take the time to get a great cover. Create an enticing product. Your ability to market your book – Since you’re self-publishing it’s your job to talk about your work. If you don’t, no one else will. So, get on social media, blog about it, seek reviews, and connect with your readers. If you put effort in to it, you’ll get sales, which translate to more money for you. Keep writing new books, the more titles you have, the more likely you are to remain visible on various publishing platforms. Keep Learning the Writing Craft. Best Advice someone gave me lately was; – Don’t slack! Don’t give up! Think Smart! Books are sold by authorpreneurs who take an active role in publicizing their work. Authors working with big publishing companies are lucky in that they get creative, marketing and PR departments working for them. You have chosen to self-publish a book. You’re choosing to take on all those departments as well as write more books, that is, Double Duty. Most African writers end up peddling their books from their handbag as I’ve heard once before. They are their own marketing team, their own creative department, and they are the PR team as well. In between all that, they must come up with the next book. Don’t be discouraged if you find yourself here. Be strict with yourself. Take yourself seriously, that means coming up with writing schedules, and promotion plans. Please note if you have an eight-to-five job, this might mean extra dedication, on your part. If you’re in between work or have never had a job and are thinking to self-publish for money, you have more time. Good for you, please use it well and beat down that procrastination monster. 1. Get involved with the publishing industry in Kenya – There are different events that arranged by different Kenyan publishing companies and individuals. Participate in them, let people know you’re writing, and what your story is about. If possible, direct the people you meet in these events to your work. If you tell five people, chances are one or two will read it. If you tell twenty, five or six will get there. So, tell up to a hundred people. The number will grow. You’re building an audience, raising awareness. 2. Utilize your family and friends – they are a powerful network. Take ownership of your work and let your family know that writing is important to you. Show them what you’ve done. They’ll take pride in you, if not; convince them to take pride in you. If you’re having a hard time convincing them, tell them it’s not going to stop so they better get used to it, and start reading your stuff. There are situations that occur, for example, I have moved countries in the past years. You find that you’re leaving your foundation community for a new one, and you are suddenly the odd one out. You have family but not as many close friends. This could lead to shyness, and/or insecurity. You’re the only one who knows you write – that kind of thing. In this case, take it one person at a time. You’ll find someone who believes in your work and go from there. 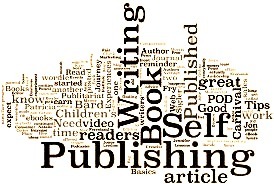 Just don’t allow yourself to self-publish alone. It gets tough, so talk about it. 3. Explore the Online Community – Join writing groups on Facebook and other social platforms. Are you on Twitter? Follow other authors, readers, book reviewers, publishing houses, and other people involved in the book industry. You can also follow your favorite authors. Start a Blog. A blog is essential for any writer. You should have a blog. When starting out, you can share your struggles, and they’ll be many. If you’re established, use it to let people know what you’re writing about. When you’re successful, let people know about their favorite characters in your stories. Blogs are your home online. Please start one already if you haven’t. 4. Your book is your product. 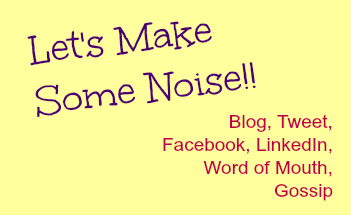 Talk about it, blog about it, tweet about it, Facebook about it, create posters, ask for reviews from other bloggers, guest blog on people’s blogs and talk about it. Do you get my drift? Self-publishers sell their work by getting noisy and loud both online and offline. Remember, it helps to have a quality story that’s worth the hoopla. Although, this is relative, some people have managed to sell stories that aren’t as good. If you have an advertising and selling gene, this is the time to make it work overtime. Get people reading those chapters. Don’t forget to write new stories while you’re at it. New stories are the best form of advertising.